I'd like to request a new feature. I'd like to see a wallet type for "Insurance Card". Between health care, vision, dental, auto insurance, etc. there are several items I'd like to enter into my database. I'm currently using secure notes for these, but having a dedicated wallet item would be nice. FLJeepGuy, welcome to the forum! 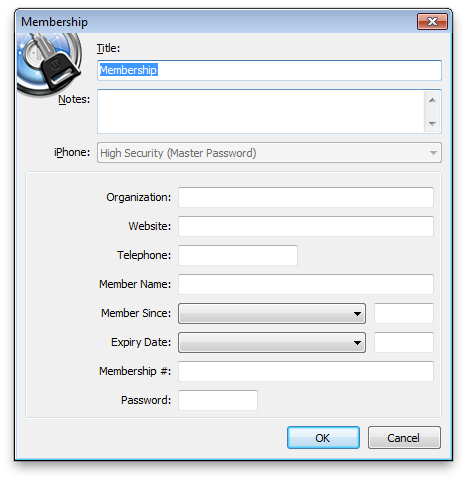 We hope to add various customization options in future releases of our 1Password product line. As you can imagine, it'll be no small undertaking to update, document, release, and support all of those programs and apps at roughly the same time, so I don't have any information about what options might be implemented or when they might become available. Thanks for letting us know this would be useful to you! Ditto on the auto insurance Card. In fact the Wallet templates are greatly lacking in choices. I'll pass your vote for this along to the developers. Thank you for your feedback, vbphil! 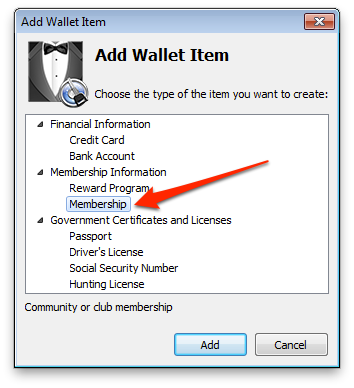 That said, I've been using "Membership" items for years for all my various insurance memberships. I've never found the template to be lacking anything. What is missing for you? It is always helpful to receive constructive feedback.